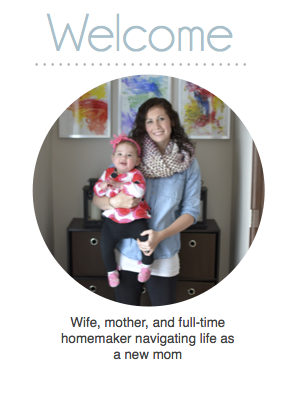 I, like most moms, am very conscious of the food I serve my child. I try to serve Grace as much organic homemade food that I can. However, making food from scratch is often not cheap or easy to do. 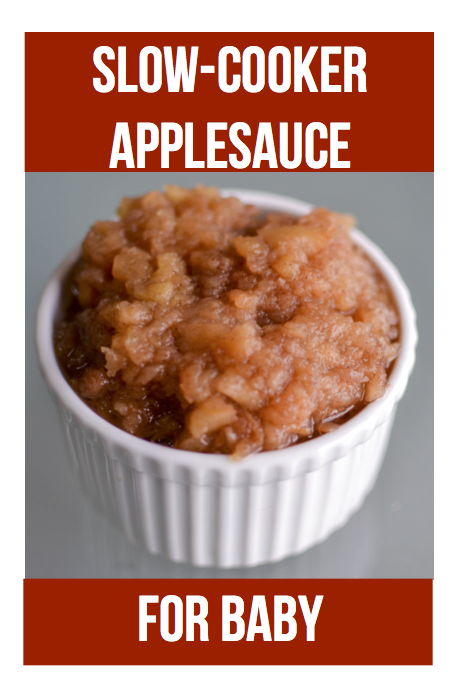 Luckily, this applesauce recipe is both. PLUS Grace loves the taste, and I love that it is made from fresh apples with no added preservatives. 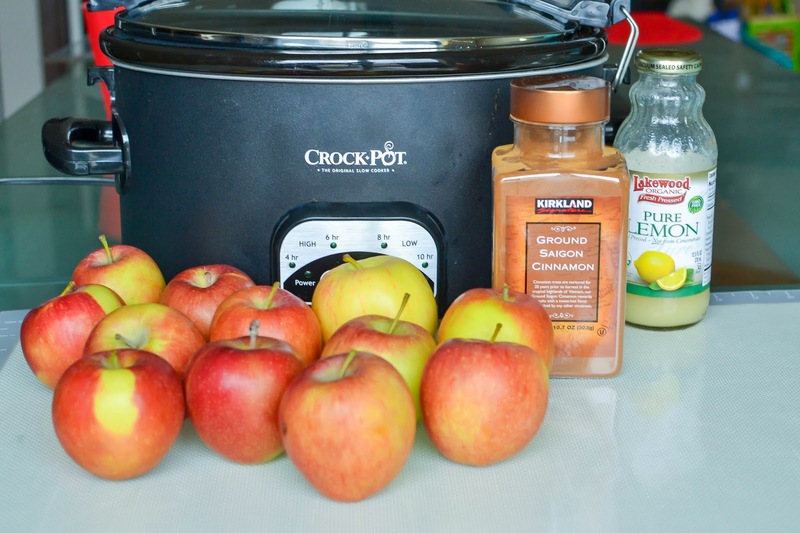 All you need to make this applesauce is a slow-cooker, a bag of apples, and some lemon juice. Grace also like lots of cinnamon in her applesauce, but if you are making this as a first food or have not yet introduced cinnamon, that is ok too. It tastes great without it as well. As far as the apples go I just use whatever organic apples are the cheapest, but it is really up to you. My favorite are ones straight from the orchard in the fall. Yum! 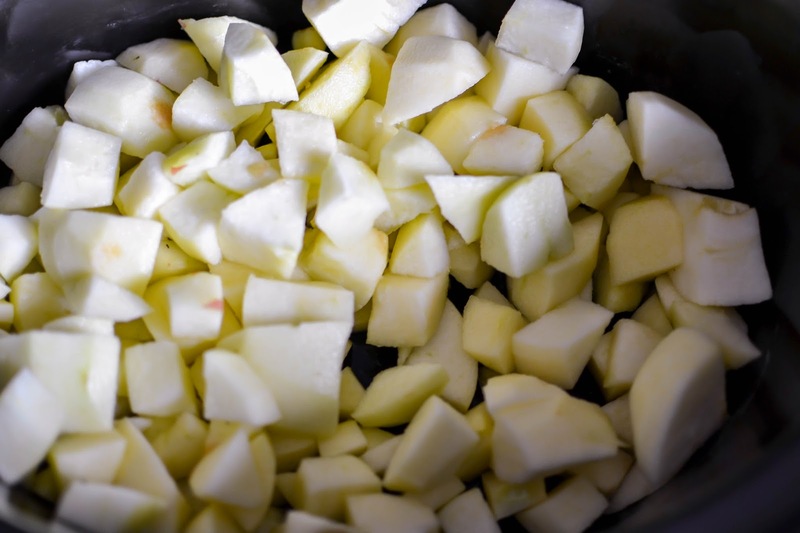 Mixing different types of apples can give the sauce a more complex flavor or you can get adventurous and add different types of fruit and vegetables as well. I love to put carrots in Grace's. It is important to note that some babies become constipated when eating apples. First you need to wash your apples. I use The Honest Co. Fruit & Veggie Wash to make sure that my apples are really clean. Listeria seems to be on everything these days. Then peel and chop your apples. An apple peeler and slicer really does come in handy. I hate my apple peeler so I just use a regular vegetable peeler and a knife. 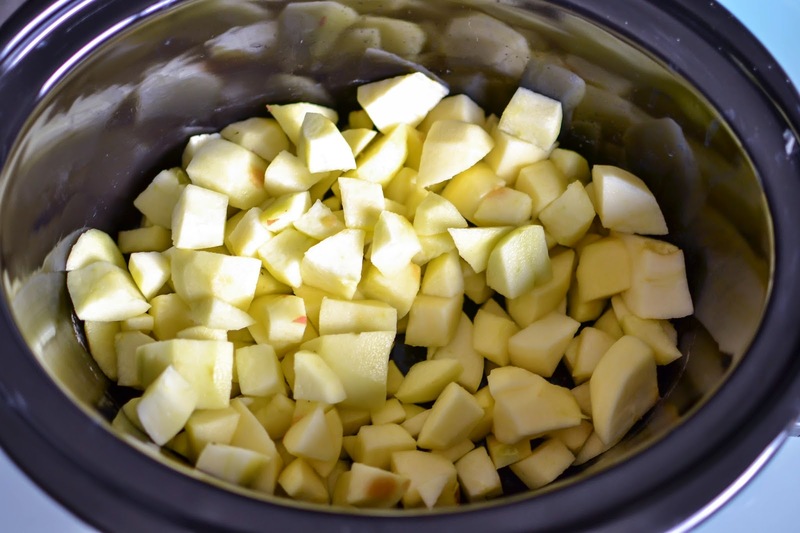 Add the lemon juice to the slow-cooker. 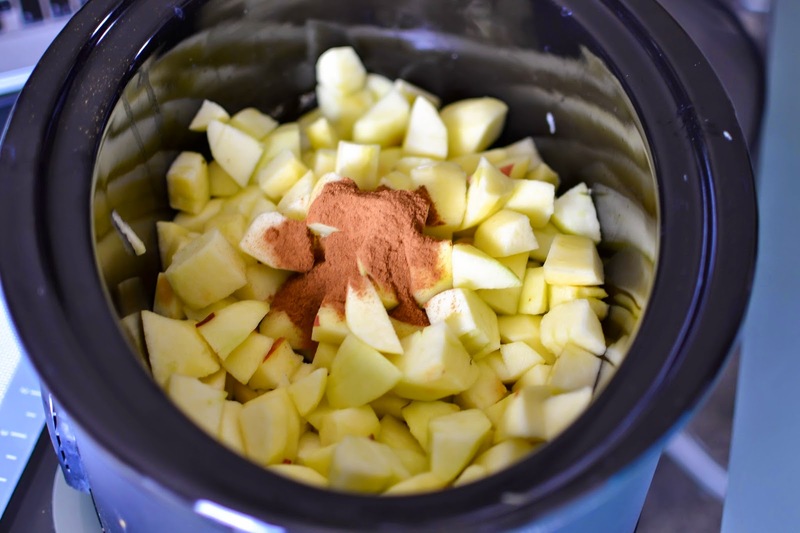 This helps to keep the apples from browning and helps the applesauce last longer. I also added some cinnamon for Grace. My husband also loves to add a ton of brown sugar when he makes it for himself, but I really don't think it needs the sugar even for an adult pallet. Obviously, I won't be using sugar today. Then simply cover you slow-cooker and cook on low for 4-6 hours. When it is done cooking you can either use a hand whisk for a chunkier consistency, or you can use an immersion blender or food processor for a smoother consistency. Grace has always had the chunkier version, but we also practiced baby led weaning so she was use to bigger bits of food. 5. When done cooking use an immersion blender for a smoother consistency or a whisk for a chunkier one. 6. It should stay good in the fridge for a couple weeks, but you can easily freeze applesauce too.